The S-76 Pad Holding Frame is a rigid galvanized steel frame. Made with a 1 x 1 wire pad, found on the air exiting side of the frame. This allows a multiple number of filter media to be placed in front, completing the pad holding frame application. Three different gates are available to help hold the filter media in place. 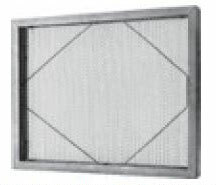 This filter is also available in Aluminum, Stainless Steel and 16 Gauge Galvanized Steel. 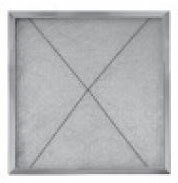 These S-76 Pad Holding Frames are being used in spray booths, residential units, ventilators, roof top units and many other application where up to 550 FPM air velocity is present. Available in both stock and special sizes. CONSTRUCTION: Standard Frame is made from Rigid 24 Gauge Galvanized Steel, commercially known as Hot Dip G-90. There are two back grids available: 28 gauge Galvanized Steel, expanded through .055 feed and also, 1″x1″ galvanized wire, spot welded together at each section. Both backings are folded securely inside of the frame to give the backing extra strength to hold the pad in place. 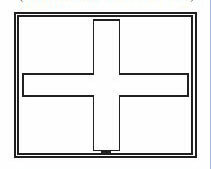 Stock sizes are made with 1×1 wire and special sizes are made with expanded. If backing needs are different than what is standard, please sp0ecify when ordering. Frames also available in Stainless Steel, Aluminum, and 16 gauge Galvanized Steel. 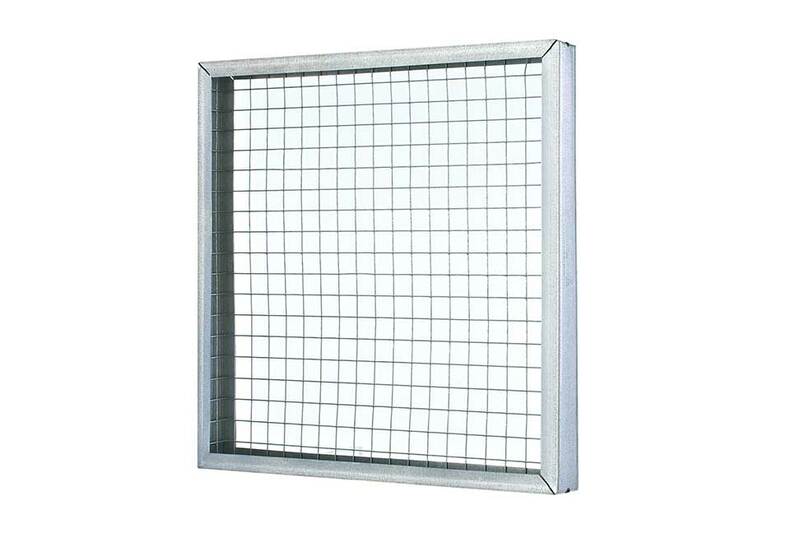 MATERIAL: Rigid 24 gauge Galvanized Steel frame with a back grid made from 1 x 1 wire on both stock and special S-76 Pad Holding Frames. Filter media that works well with the S-76 Pad Holding Frame: Fiberglass, Polyester, Foam, and Poly Flo/Hog Hair and pleat insert pad.